Once you have these goals, then you can build out your system. First you must define the core tenant of the system. This includes a production standard of portion sizes, formulas, recipes and a final production process based on your business model. It’s important to note that this may be a different process for on-premise caterers than for off-premise caterers. In either case, caterers should establish a base system that automates production calculations based on the number of menu items sold. Equipped with this specific information, the culinary team can get to work. Your team can now begin to calculate how much product needs to be produced and how to meet the customer’s goals. If your organization has weekly menu meetings, this should start to sound familiar. They’re the typical conversations the culinary and sales team have together. Automating the process for 80 percent of the business you do frees up time and resources for you to focus on the 20 percent that are unique situations. With an automated system, you can automate production decisions that a chef has to make inside his or her head every day. This frees up their time so they can focus on cooking and operations. Let’s take, for example, a small cheese tray. Each tray that is sold is very defined since there are limitations to how much product that it can fit while generating the profit you intended when it was priced. 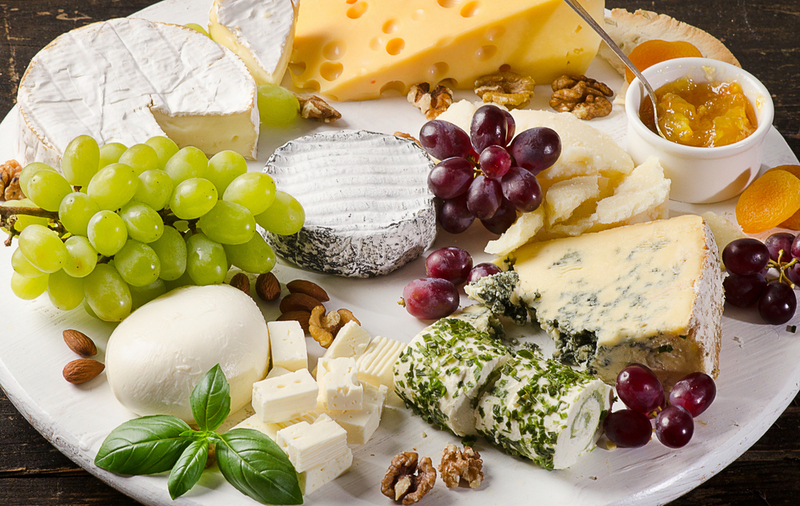 Since they are sold in fractions, there is a clear relationship between the number of trays and how much cheese, crackers and garnish are needed. You sell two trays you need to double the production, no more, no less. If you sell the cheese tray by the person, then your relationship is based on total cheese and garnishes needed for each guest. This allows you to establish a one-to one relationship. For every person, you send X amount of cheese and X amount of garnish. If you serve 1.5 oz (0.09375 lbs.) of cheese per person and one box of crackers for every 25 guest, then you’ll need to figure 0.04 boxes of crackers (1 divided by 25) per person. Then you can round the number up or down by the ¼ ½ or whole to calculate how much cheese you need for 87 people. Instead of doing the math in your head and guessing, an automated system will recommend the needs based on these established ratios. 87 x .09375 = @ 8.15 lb or 8 ¼# Cheese and 87 x.04 = 3.48 or 3 ½ boxes of crackers. This process is replicated time and time again. Maybe you’re sending more than you need to send. If so, adjust the ratios. Over time, this will allow you to zero in on your food cost. This will be especially effective during busy season when you’re trying to maximize your staff’s time and production capabilities…as opposed to figuring how much cheese to buy. John Reed will be speaking at Catersource 2019. Click here to view the education schedule.